It seems like just yesterday when I was tearing open my fresh copy of Need for Speed: Shift 2 Unleashed and gaming super-company Electronic Arts has already issued a brief look at the Next generation of the NFS series with a YouTube video of Need for Speed – The Run. The last two titles in the Need for Speed series were the fantastic recreation of the classic NFS hit Hot Pursuit followed by the recent release of the track-racer NFS Shift 2 Unleashed. Unlike most racing titles that stick mostly to one type of racing, the Need for Speed series showed its versatility with those two very different games over the past year and with Need for Speed – The Run, EA introduces a whole new form of racing game. 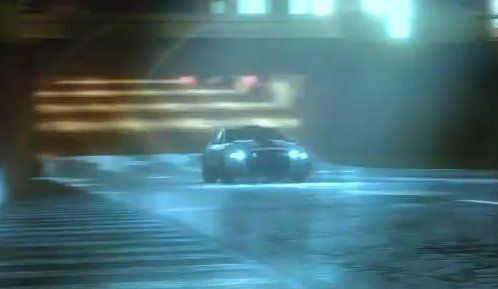 The only information on Need for Speed – The Run is what is shown in the video below and what is offered on their site, which you can check out by clicking here. The brief explanation of The Run details the basic storyline of the game. From the sounds of things, you are a convict who is given the chance for freedom based on a cross-country road race while being chased by authorities and competing with other highly skilled drivers. While games like Test Drive Unlimited have offered a racing format over a large section of public roads, Need for Speed – The Run sounds like it is introducing the gaming world to the high speed, cross country road rally. While the video below is very short, offering very little insight into the game, a little slow-motion work combined with some patience reveals a pretty impressive spread of cars including, but not limited to the Audi R8, Chevrolet Camaro, BMW M3, Shelby GT500 Super Snake (shown in the screen shot on the right), Porsche Cayenne Turbo, a Nisan GT-R, a Mitsubishi Evolution X and even the powerful new Ford Taurus SHO-based 2013 Police Interceptor. Need for Speed – The Run hits the streets on November 15th, 2011 but you can pre-order it from the EA site by clicking here. There has been no other news but with EA’s preference of offering bonus features for those who pre-order, visiting the EA link or dropping off $5 to secure yourself one of the first released versions might be worth the trouble.